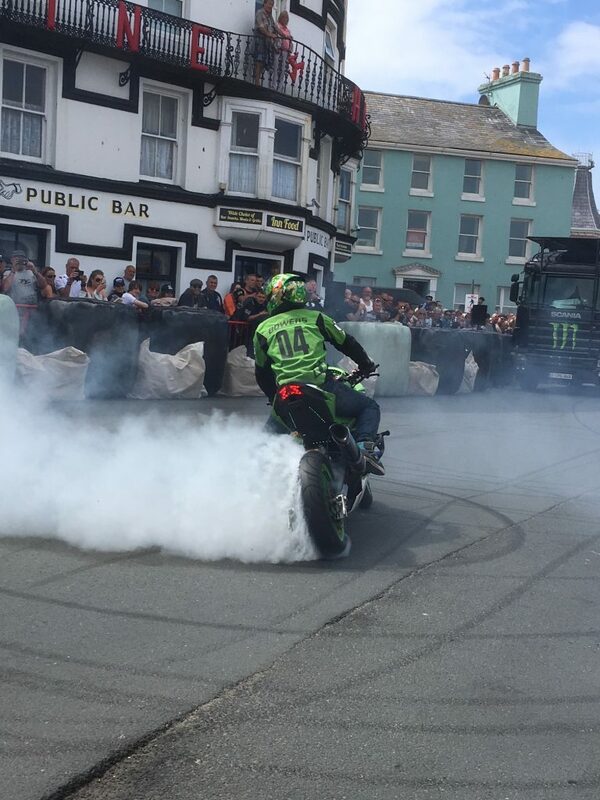 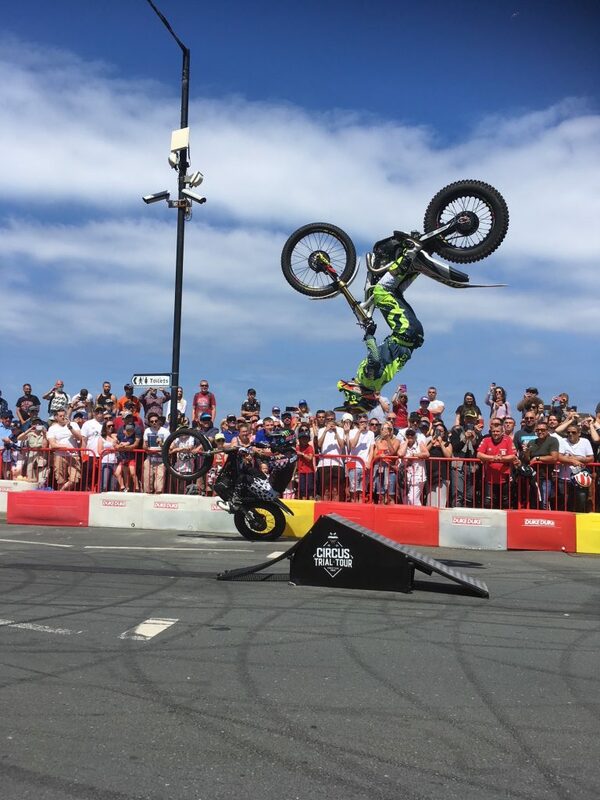 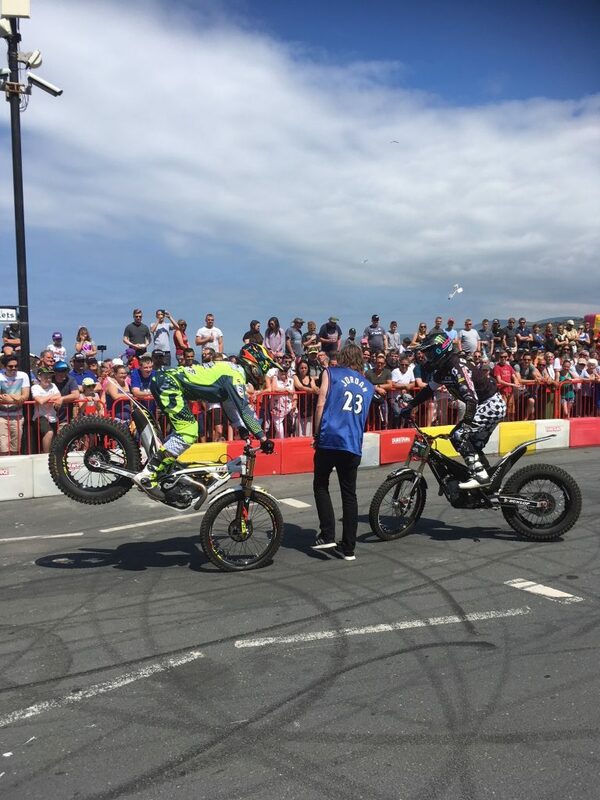 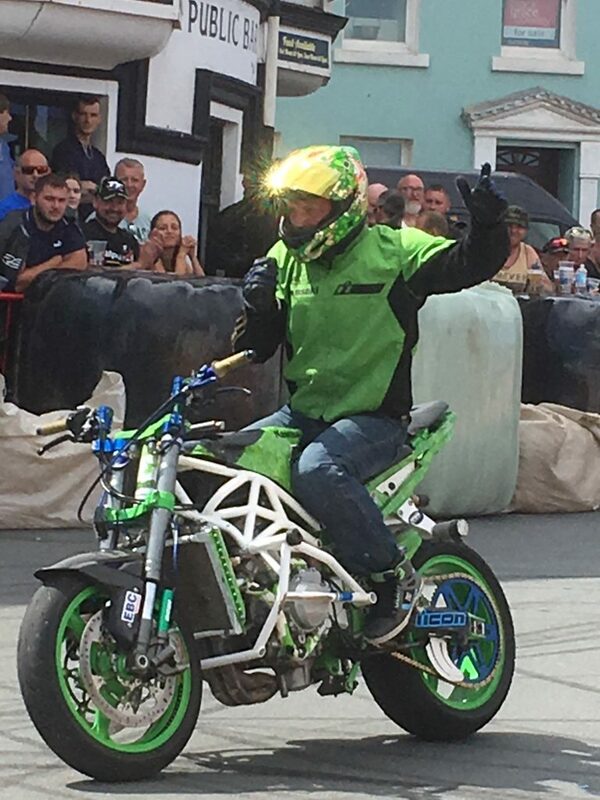 What an amazing week we had at the Isle of Man TT, delivering 18 TT Mayhem shows, at three venues, to thousands of TT fans. 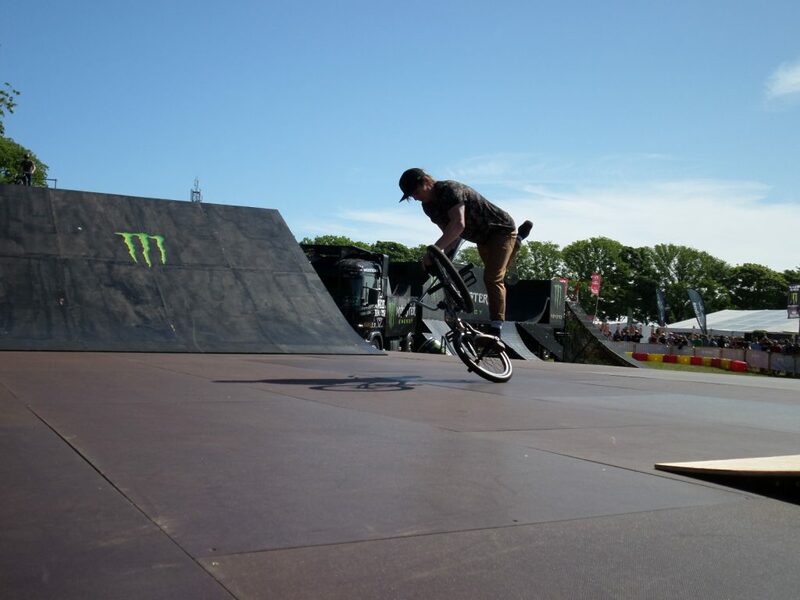 It was a spectacular week in glorious sunshine and we had a great team around us to deliver the show. 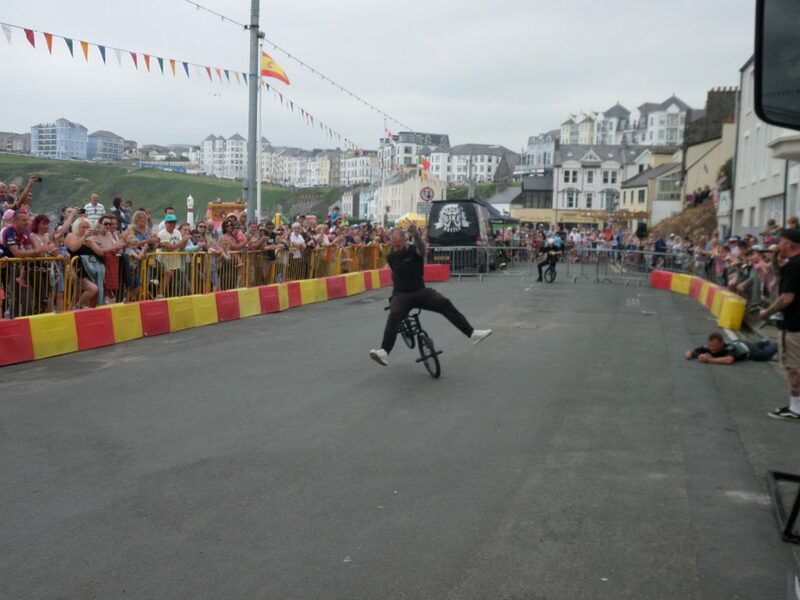 Firstly a big thanks to Christian Stevenson, aka DJ BBQ, who keeps coming back for TT Mayhem in spite of all the things Fred and Samuele put him through each year. 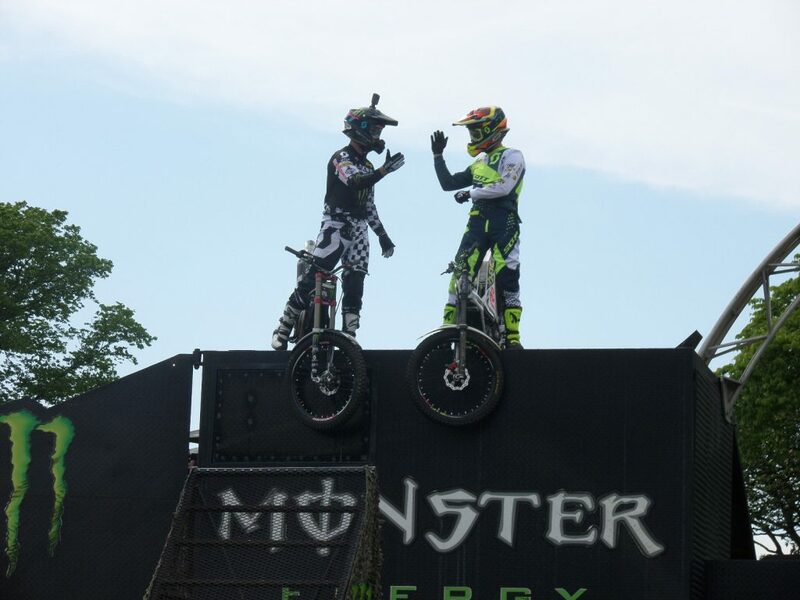 MC Matt Crowhurst stepped in to host a couple of shows and sample the antics of Fred and Samuele. 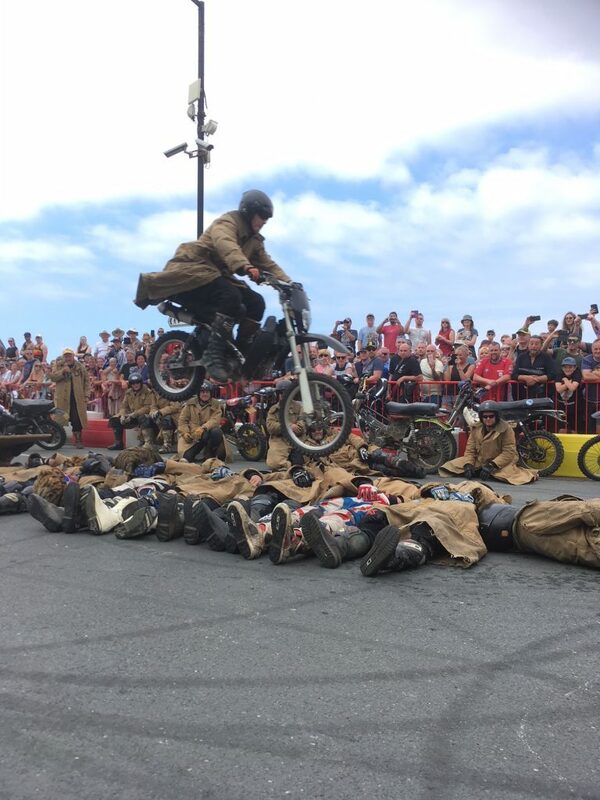 A huge thanks to the amazing Moto Trials riders – Fred Crosset and Samuele Zuccali for throwing themselves and their bikes anywhere and everywhere! 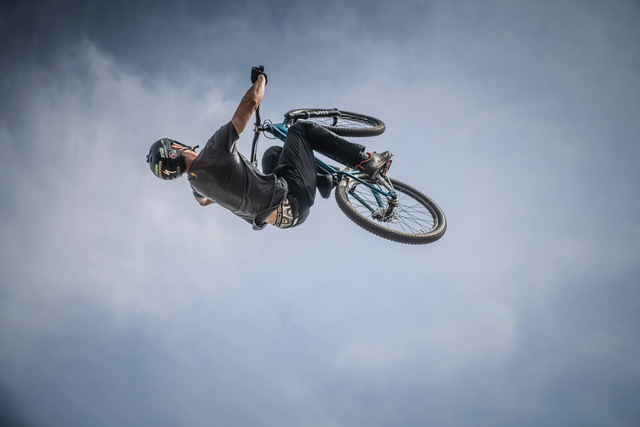 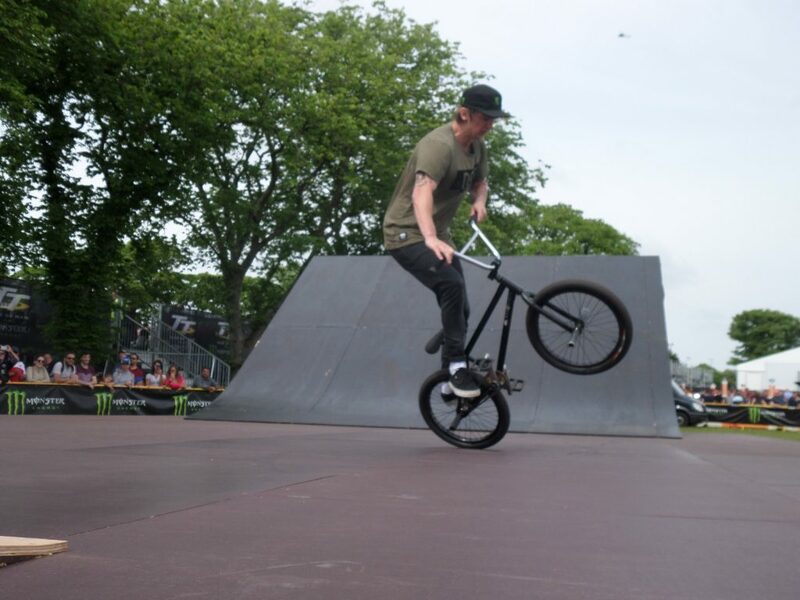 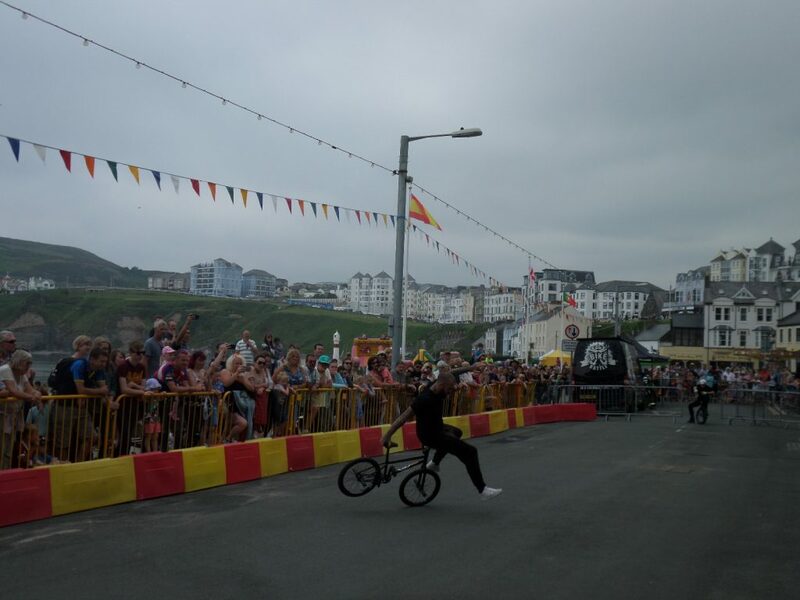 No TT Mayhem would be complete without a bit of BMX and this year we had lots with Adam Kun and his flatland BMX display, and an aerial BMX display by Lee Musselwhite. 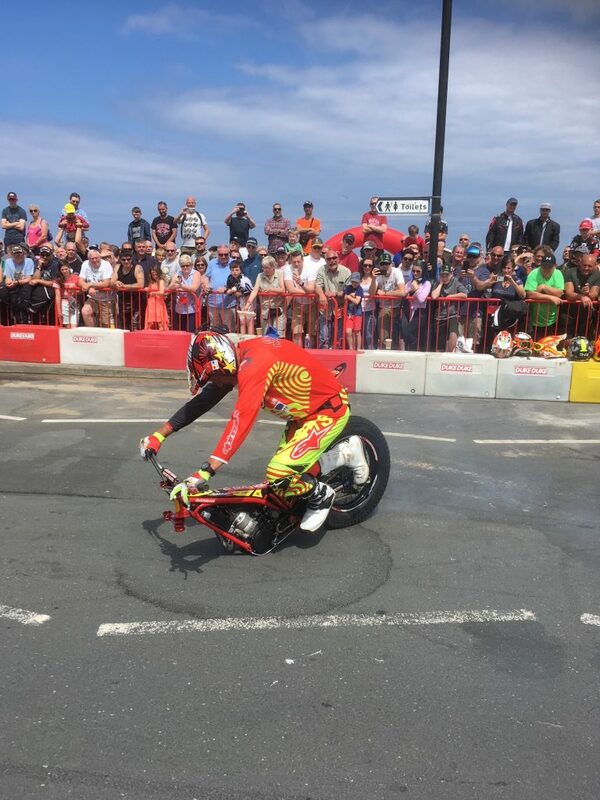 When we hit the tarmac the crowds were treated to motorbike handling that was as breathtaking as it was crazy with demonstrations of bike mastery from Lee Bowers and Steve Colley. 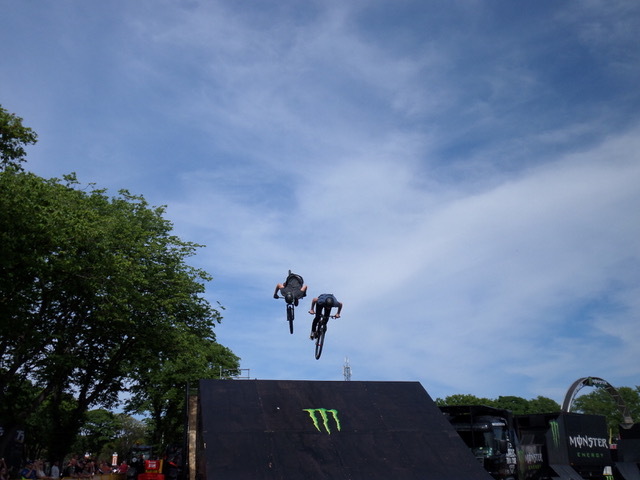 Added to this were Tom Reynolds & Matt Scott on their Mountain Bikes, who spent most of the time airborne and upside down. 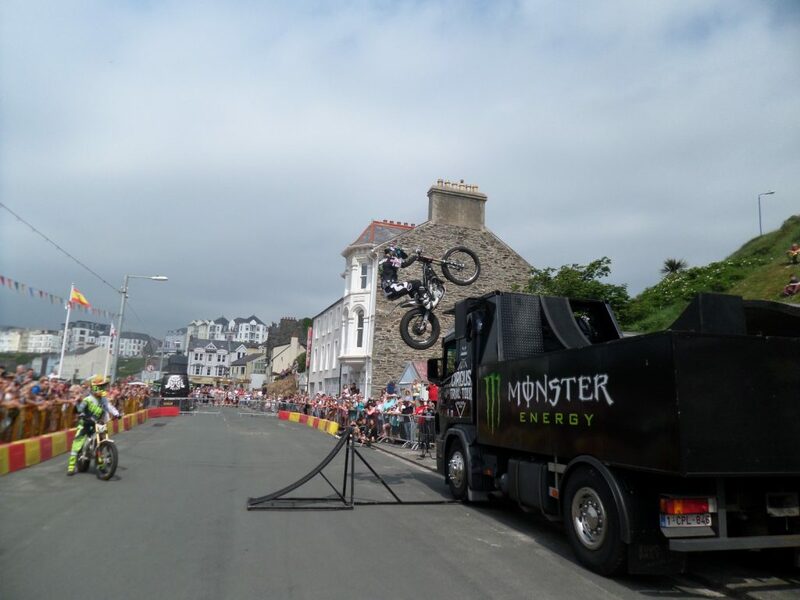 A TT Mayhem display has to have an appearance from local heroes The Purple Helmets, they really are something to behold! 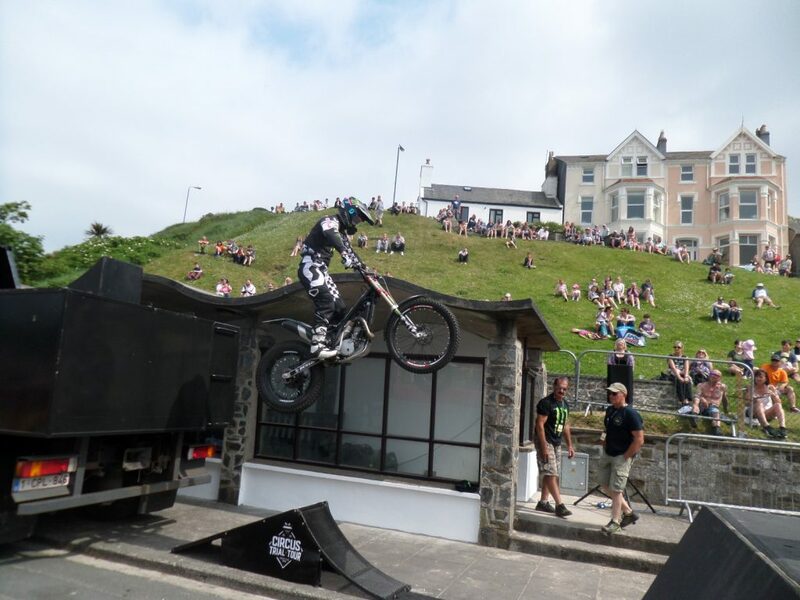 And, all of this was fuelled by Monster Energy with giveaways from the Monster Energy Girls, and supported by the most enthusiastic crowds in all of the venues. 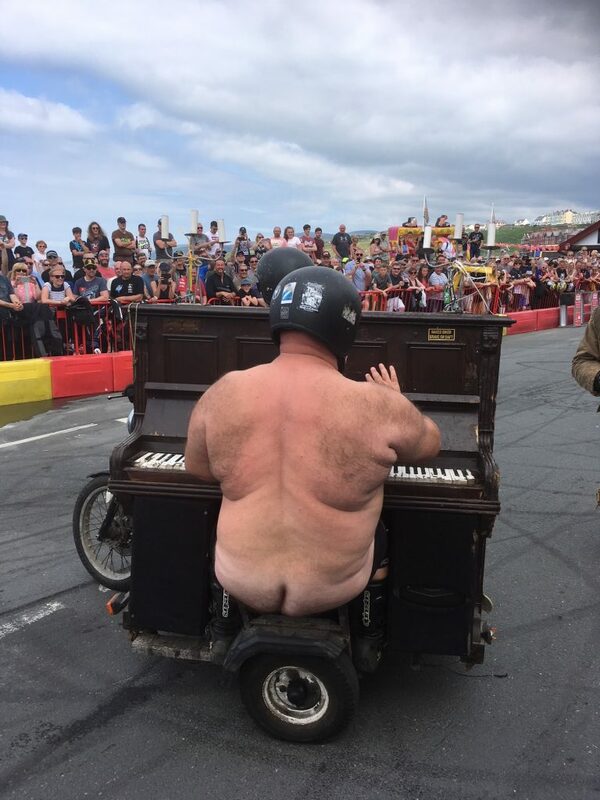 Thanks for making it a great TT Mayhem, see you all in 2019.